The news that Kris and Bruce Jenner have separated after 22 years of marriage might not have come as a surprise -- they'd faced similar rumors for months -- but it does raise questions about who's entitled to what from the Kardashian family empire. So far, the split appears to be an amicable one ("we will always remain best friends and, as always, our family will remain our number one priority," they've said), but considering reports they married without a prenuptial agreement, it still means big money could be at stake from their reality shows and other business ventures. "California is a community property state. So basically any property they acquire during the marriage belongs equally to both of them," explained attorney Steven Eisman, executive partner and director of the matrimonial law department at Abrams, Fensterman in New York. Just how much is at stake depends on who owns all of those ventures and what they're worth, Eisman told CBSNews.com. "Everyone speaks of the Kardashian empire, and I'm sure that Kris certainly has her stake in it," said Eisman, who has no involvement with the Jenners' case. Still, it all depends on the extent of their assets. "He's entitled to 50 percent," said the divorce attorney. "And that's a question of valuing these things. You can have some very significant fights over what's the value of the show, the stores, the clothing line, etc. And that's, again, if [Kris] owns them." The former Olympian could also be entitled to a cut of the future income earned by his ex. 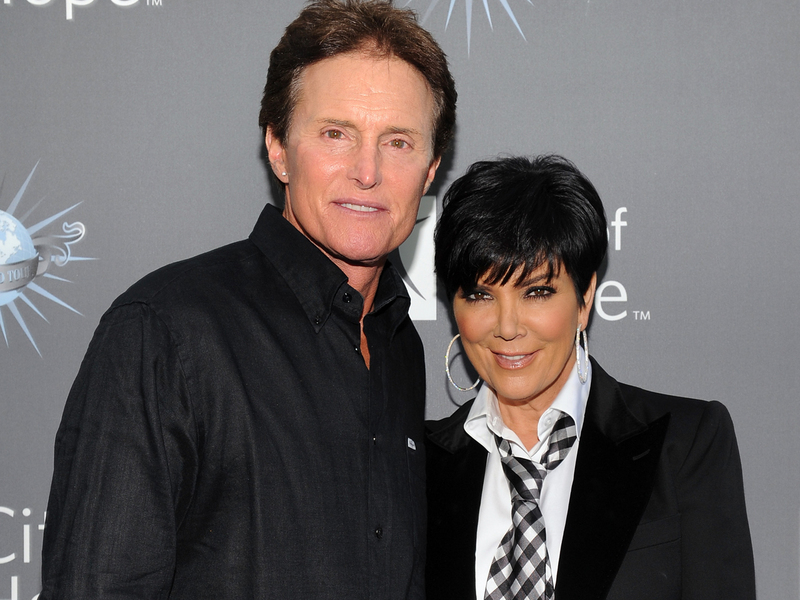 "If Bruce isn't receiving income and Kris is, well then he could turn around and say, 'I don't have the ability to support myself in the lifestyle to which I've become accustomed for the last 22 years. I've put my career aside so Kris can move forward and manage the career of her children and our children together. And she's making a substantial income as a result thereof and I should be sharing in it in a future, ongoing basis,'" Eisman notes. Divorce papers have not yet been filed by either of the Jenners, which Eisman said could mean they're trying to work out an agreement and will file once that's done. There's also the possibility, if an agreement's not reached, that the case could go to trial. But either way, this split is one they'll be navigating with the world watching. "Here, as everything proceeds, if they don't keep things to themselves and people talk, all of a sudden you've got millions of people looking over your shoulder. Your divorce is in magazines and on TV and on the news and everybody's weighing in with an opinion of who's taking advantage of whom," said Eisman. "That becomes an issue in a very small divorce, it becomes a bigger issue with more money and fame is involved."